Genesis 6-Pak Sega Genesis Game cartridge Cleaned, Tested, and Guaranteed to work! Exactly as described! A great bargain with fast shipping! Love it! A must have title for anyone new to the mighty mighty Mega-Drive aka Genesis. I saved lots of money getting the 6 Pak over each game individually. Game arrived promptly and in good condition, works every time. Thanks Lukie! What an excellent source for old games! Great value and keeps children interested because you can switch between games. Works great! Can't ask for anything better. Thank you Lukie games for maintaining the integrity of classic. Good for people starting their genesis collection. El cartucho en muy buenas condiciones. Y los juegos, geniales. We are happy with this cartridge. When I first got the cartridge, it would only play in Demo mode. After receiving cleaning instructions from Customer Service and cleaning the contacts, the games play just fine. I especially enjoy Sonic and Columns. I bought this game for my Genesis due to the amount of games and the price. 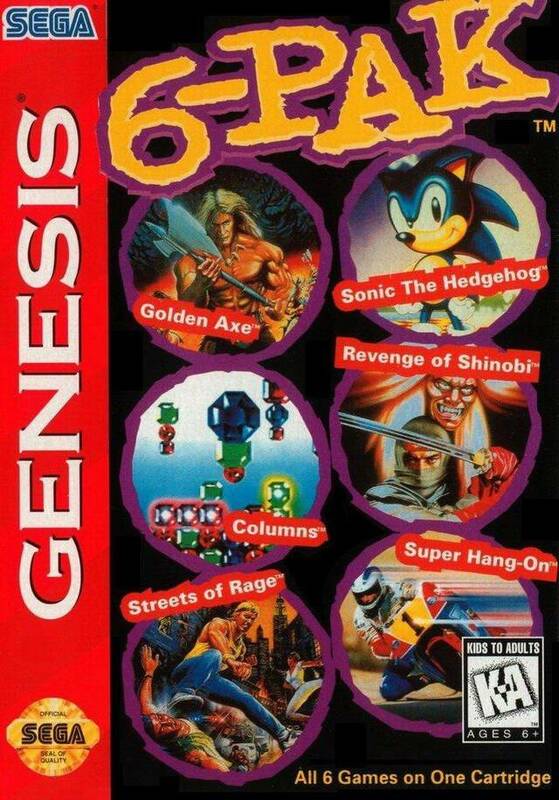 I really like Golden Axe and Streets of Rage. 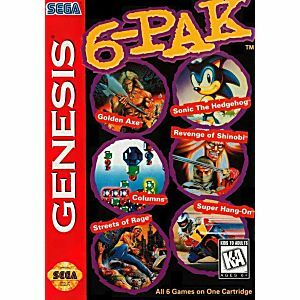 I already had Sonic, but for the price you get 6 games! Not a bad deal at all! This cartridge is a great value. The manufacturer somehow managed to cram 6 full version games on this thing. I bought it primarily for Sonic, but then I remembered how much I also used to enjoy playing Streets of Rage. The other games are decent too, but Super Hang-On is by far the worse. It's extremely slow. Still, Sonic is worth the price alone and you get a bunch of bonus games as well.